If you are a good truck driver, you will never downgrade the importance of communication while driving. Without proper communication and access to various channels, trucking won’t be that smooth. That is why having the best truck CB radio for your vehicle is very important. We will take you through the reviews and guidelines to buy the best CB radio for truckers. Is that enough for your pick up truck? You also need a very good CB antenna and mount for your pickup truck to have the best outcome. We have, at the end of the article, have given the top CB antenna mount for pick truck you can buy. Before we go ahead, let us have a quick look at the best products when it comes to CB trucking. It is not surprising to see the 29 LX from Cobra is top in the list. It will give you everything you need while trucking. Check Best & Latest Price Now Coming from the well known FireStik brand, S0-237 Stud mount is essential to have if you’re a frequent driver. Known to last long even during harsh conditions, you can easily rely on this great product. 1 Do Truckers Still use CB Radios? 5 Did You get your Truck CB Radio for 2019? Yes, most of the truck drivers are still using CB radios. You might be wrong if you think people depend more on mobile phones in this modern era. Truck drivers still love to use CB radios and these amazing devices are a lifesaver when a truck driver is stranded. We can even say that truck CB radios provide the best means of communication amongst drivers. Moreover, CB radio comes with other cool features like weather alert, an emergency channel amongst others. Truck drivers still use CB radios while driving and it’s not just a medium of communication for them. We all love listening to some random guys conversation in a random CB radio channel. Getting updated from drivers who’re ahead is something thrilling. Now, the truckers CB radio offers things like emergency lines, uses radio frequencies and do not suffer failure in network signal. Hence, it is the best companion to have while on the road although they have access to mobile phones nowadays. Let us have a look at the major highlights the CB radio offers to the truckers! With CB radio, truck drivers can access their local NOAA radio stations for weather reports. This is a cool feature to have with you as a trucker! You never know what nature has in stock for you ahead. Going to a destination blind is a serious crime you can do for yourself. Without knowing the weather condition of a place, you may work straight into a storm. However, with a truck Citizen Band radio, you will be able to plan against such surprise. CB Radio service provides its users an active channel of communication. For those who might consider this feature as nothing. Think about the moment you are stranded and there is no signal in your Smartphone how will you reach out for help? Through a truck CB radio! It comes with an active emergency channel for moments like this. The radio service works with a point-to-point transmitter. This fantastic feature allows you to use other truckers Citizen Band radio as a public address (PA) through the addition of an external speaker. This speaker or horn gets fixed on the roof of your truck or at the base. With PA facility, you can easily engage in conversation with fellow drivers. This will give you various information like traffic and other key information ahead. With this cool feature, you can silence the noise of the engine and other background noise to enjoy high sound quality during communication. This is one such feature you require in any communication device while driving. Without an option like this, you won’t enjoy uninterrupted communication. Well, for all the products out there, the best depends on your preferences. So is a truck CB radio. But, we have given you some valuable lesson in the above section- about the essential features to look for in a trucker CB radio. We have narrowed down all those CBs for truckers to top six. How did we arrive at this? The list of CB radios given below will help you to identify the Best trucker CB radio that matches your style. 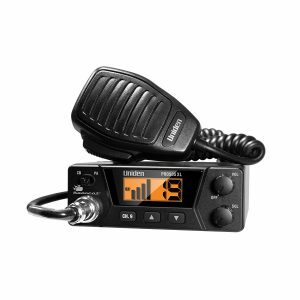 The Cobra 29 LX 40 is the top CB radio for trucks, available. 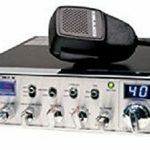 It presents the best features every trucker needs in a CB radio on a daily basis, and they are listed below. Cobra 29 as a truck CB radio present a NOAA weather channel scan feature that allows you know the weather condition even when the radio is turned off. By just clicking, you can quickly switch channels. The Cobra CB radio has the ANL, RF gain, and a well-boosted microphone to give you a sound communication quality. With a suitable speaker, you can use the PA features the Cobra CB radio possesses. The Cobra 29 comes with a unique visual display that sets it apart from other CB radio. The screen has a clock, a timer, an alarm function and a brightness and color-lightening feature. The truck drivers out there see the Cobra 29 as a handy and user-friendly device to use. There are those who prefer its continuous weather scan above other features. These drivers claim that its weather prediction is always precise. The adjustable brightenss coupled with color display makes it easy to read and adds to the popularity of the truck radio. 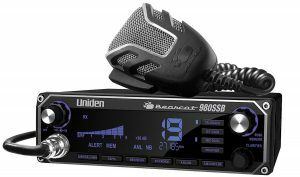 The Uniden CB Radio is the best Cb radio for truckers who need the SSB feature that it provides. The BEARCAT CB radio comes with same features as Cobra 29 LX 40 aside from its SSB feature. 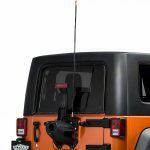 With its SWR feature, BEARCAT offers the best Cb antenna for truckers. With the Uniden Bearcat installed in a truck driver’s truck, he or she does not need to leave the steering to stay connected. Some other features truck drivers get to enjoy from this radio are its automatic noise limiter, RF gain control, noise blanker and NOAA weather alerts. Many users of the Uniden BEARCAT 980SSB are in love with the quality of service the NOAA, ANL, RF gain control and noise blanker features render. They claim that the noise reduction feature present in the BEARCAT is well acceptable. Also, they love the firm signal reception present in the device and enjoy the clear transmission they experience. The Cobra 29 LTD is the most fantastic and simplified CB radios for truckers. The Cobra 29 LTD pales in comparison to all the top rated truck Citizen Band radio available, which is factored on features provided. However, customers who have had the chance to test the device in their daily lives believe it is of equal rank with the best. The CB Cobra 29 LTD provides the best CB antenna for truckers through its well-calibrated SWR feature. This radio can create clearer and louder communication for truckers through its RF gain control and Dynamike features. The CB Cobra 29 LTD comes with a lot of dial settings like the volume dial, delta tune, SWR calibration, and RF gain amongst others. Despite its lack of all the features expected in a CB radio, this newer model of Cobra 29 pleases customers who have bought it. They love the many features it provides and the Bluetooth option found in it. Also, they do like the fact that it is easy to set up and does not require extra hands. 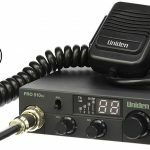 Uniden 505XL is a top CB radio for truckers with the most affordable rate, and is effective according to its design. The CB radio device has no fancy feature and has a design appeal for truck drivers who want a basic radio service. The Uniden 505XL comes with an external speaker jack feature, which allows interested truckers to insert external speakers. The Uniden 505XL has a straightforward LCD, which comes with an orange backlight that is good for the eyes both at night and in daylight. This radio has its channel volume showcased on the screen alongside other information. Customers who have utilized the Uniden 505XL are glad for its simplicity, more affordable rate, RF gain, and PA output and switch. Based on the reviews of a muckle of customers, the Uniden 505XL truck radio is a great product to buy. The Midland 1001Z is well-known amongst truckers as one of the best Citizen Band radio there is. The device comes at an affordable price with a lot of quality features found in the top rated CB radio service devices, though in a more restricted set. It comes with an RF gain feature that enables excellent signal reception for effective communication. There is a LED display attached to the Midland CB radio. This screen is vivid and cool to the eyes; drivers can see the information written within irrespective of the time or place. There is a control unit on the device that is easy to understand and use. The Midland CB radio comes with a 4 watts output power and an emergency channel 9 for truck drivers to utilize. There is a switch on this device for switching the PA to CB and same in reverse. The knobs on the Midland CB radio serves as a volume, RF gain and tuning adjuster. The Midland CB radio comes with a coiled extensible cord that makes communication easy for truckers. There is also a large speaker attached to this device to ensure truck drivers can hear their recipient efficiently. The Midland CB radio occupies less space and comes with a push-to-talk bar. It can easily be placed in those trucks that have less space. Despite the user-friendly features of the Midland 1001Z CB radio, lots of customers remain dissatisfied with the radio device because of its lack of an ANL noise limiter, its average microphone quality and its lack of MIC switch. However, others are happy to have the device installed in their trucks for its qualities, affordability and easy to install nature. 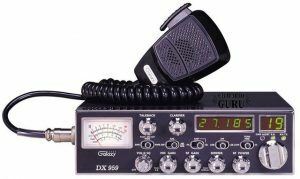 The Galaxy DX-959B is a full traditional Citizen Band radio device with an SSB feature. Here are some other features it offers. This beautiful device steps into the daily activities of truckers with an easy to read LED display and a nighttime dimmer. The Galaxy DX comes with a filtering feature that allows truck drivers obtain high quality in signal reception. There is also a dial and SSB feature for truckers who do not like the button features newer Citizen Band radio provides. The truckers who have utilized the Galaxy DX-959B are happy that there are no modifiable features, and it is user-friendly. Also, they love the superb sound quality that the device provides. If you are interested in the features, the Galaxy DX offers then visit online platform to purchase yours easily. Due to the numerous features each of the highlighted CB radio device houses, a truck driver might be confused on which to go for. We have spotlighted some features for you to consider before selecting your CB radio; this is to help you easily make a decision. However, the right object or service for a person remains the one that offers all that he or she needs and comes with that extra appeal that makes it a must-have. For fellow truckers, these needs could be to receive weather alerts, to chat on the open communication channels, or to have a fail-safe during emergencies amongst others. The best CB radio device to consider should have a weather alert feature from its connection to the NOAA. If you’re a layman, NOAA is a federal agency in the United States responsible for the monitoring of weather changes. The said agency has a radio network for broadcasting weather alerts and hazardous events. You will require weather update during your journey to get proper details. This will ensure you enjoy a smooth journey. There are many truck drivers who were able to save themselves with this feature. Another feature you need to have on your CB radio is a good lighting feature. The screen should be comfortable to the eyes and should make contents within the screen visible irrespective of the quality of light within your truck. This is very important. What’s the use of having a device when you won’t able to read what it says? How often have you driven your truck through noisy traffics and environment? Very often, right? This where ANL feature comes in. ANL feature is a good feature to have in your truck radio. This feature will filter out the background noises that are bound to interfere with your communication experience. 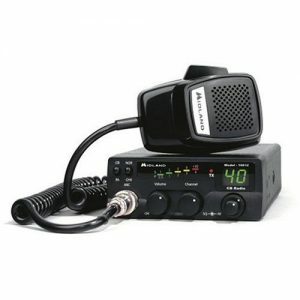 A good CB Radio for any truck driver should have an emergency channel. What are the emergency channels in a CB radio? Channel 9 and 19. In some CBs, both of them might be present. This features necessity cannot be overstressed; situations may arise where you need to get the attention of fellow truckers or anybody out there, for your safety and assistance. If a CB radio device lacks this feature, you could be in real trouble. This SSB feature is an alternative to an AM radio transmission through channels deposited at the higher range. With the SSB feature, you can have a longer-range communication. Hence, with an SSB feature equipped with your CB radio device, you can relish on the 12 watts power output that the SSB provides. If you’re a truck driver who goes for long journeys, this is a must have feature. This feature is a receiver that helps truck drivers keep their ears entertained. Hence, if you will love to have that, then you should find a CB radio device that offers this feature. Your quest for best CB trucking experience doesn’t end with a good truck driver CB radio. You also need a good antenna and proper mounting to get the best experience. 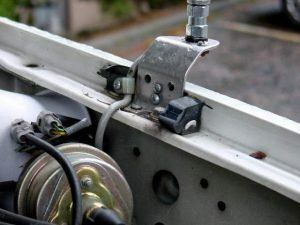 If you’re an expert truck driver and you know something about proper communication, you already know that without a good CB antenna mount, your CB radio won’t work in the best way. Why? You’ve to mount the CB antenna you bought in the best possible way to get proper signals. The perfect mounting ensures no unwanted movement to your antenna even in rugged condition. Since pick up truck is one of the most used ones, we will guide you through the procedure on mounting CB antenna in a truck. Now the real question arises! Which is the best position to mount your CB antenna on a pickup truck? [easyazon_link identifier=”B000X3D7EA” locale=”US” tag=”cbradioguru08-20″]Firestik SS-174[/easyazon_link] is a very good stainless steel mount you can use for Fiberglas antennas. It is a great mount which will withstand both speedy driving and rugged roads. Moreover, if you do the installation perfect, this can be used for at least three years without any modifications. 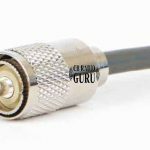 [easyazon_link identifier=”B00T4RSQ92″ locale=”US” tag=”cbradioguru08-20″]FIRESTIK SO-239 STUD MOUNT[/easyazon_link] is one of the best CB mount recommended for FireStik antennas. Since most of us are fond of FireStik brand, it is highly helpful. This easy to install CB mount works well with any pickup truck. Did You get your Truck CB Radio for 2019? It is not a hidden secret that CB trucking is one of the most enjoyed things in the US. 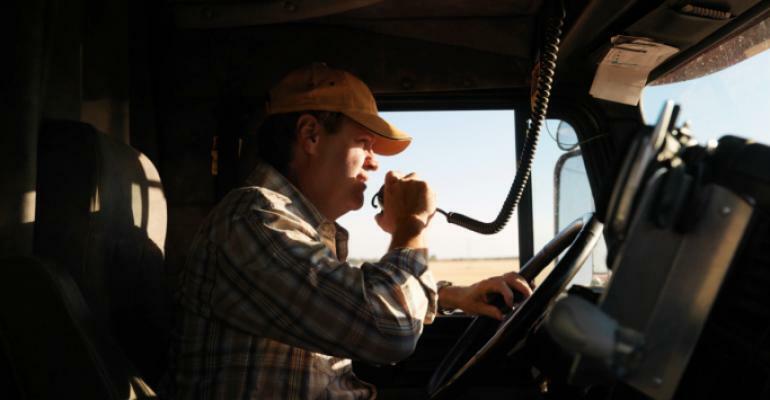 Truck drivers enjoy using CB radios, not just as a communication medium. But also to make them engaged while trucking. Thanks to the 40 channels in the CB radios. From all, we have covered so far and everything else you know, the significance of having a CB radio cannot be overlooked. Plus, we have been able to see the cool features that a CB radio brings to the table. We hope CB Radio Guru has helped you in finding a top CB radio for your truck. Moreover, with the guidelines and reviews on some good CB antenna mount for a pickup truck, you will have the best time in using CB radio. Let us know what you feel about them after using. This will help your fellow truckers!